Growing up as a Punjabi kid life was very simple. There were three commandments to live by. First, beta nashta kha lo ( eat your breakfast kiddo). Second, beta khaana kha lo (eat your lunch/dinner kiddo). Third, beta kuch aur kha lo ( eat something else kiddo). Life was all about breakfast, lunch and dinner and everything else sort of fit around it. Besides the three commandments one thing common in every Punjabi kids life is the Punjabi Happy Meal. No it’s not McDonalds because no self-respecting Punjabi mother would dare to feed their child that. 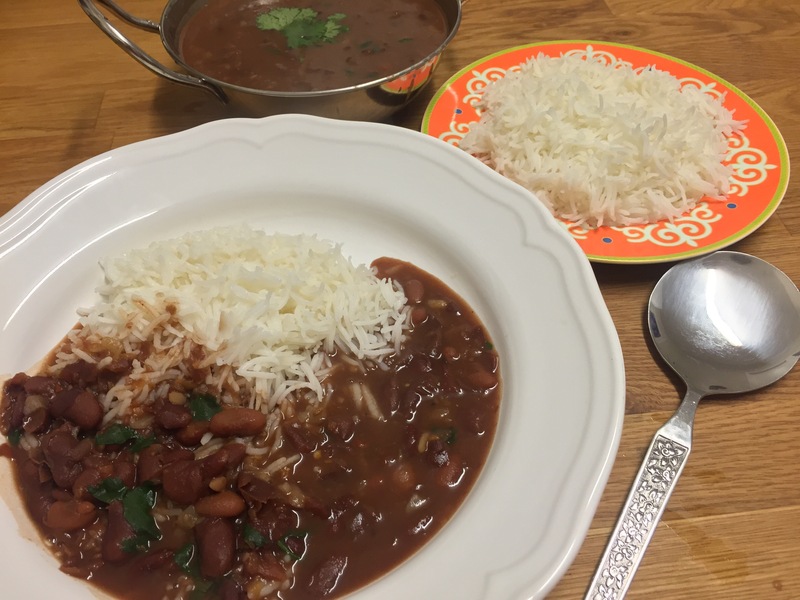 It’s Rajma Chawal! 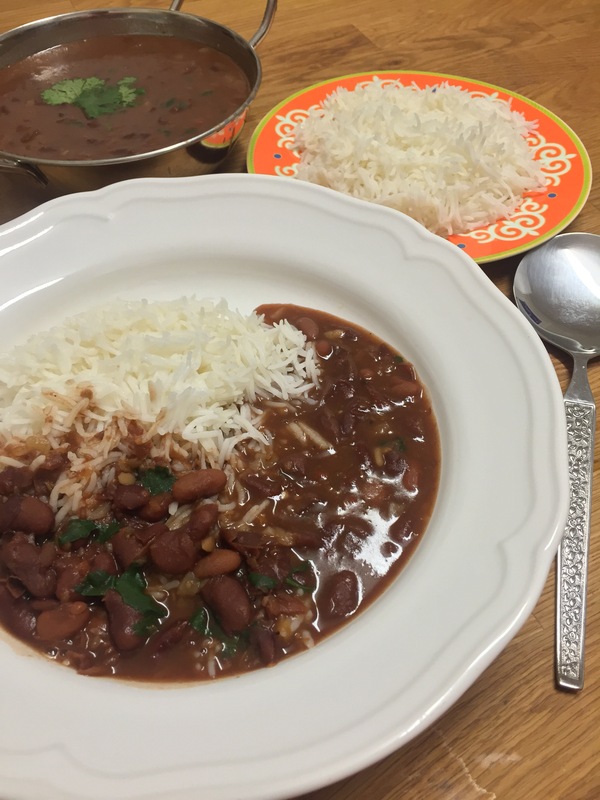 A red kidney bean stew served on a bed of steamed basmati rice. Nothing says happy meal and happiness like this dish in a Punjabi household. There is such depth and flavour in this curry. It is like a mother has squeezed all the love out of her heart and put it straight into Rajma. Soak the kidney beans overnight or at least for five to six hours. This helps to break the protein, soften the beans and cook them quicker. In a pressure cooker or a heavy bottom saucepan add the beans. Cover them with water, add cinnamon and bayleaf. Cook until the beans are soft and can be mashed between two fingers. For the tadka (tempering), heat ghee in a saucepan. 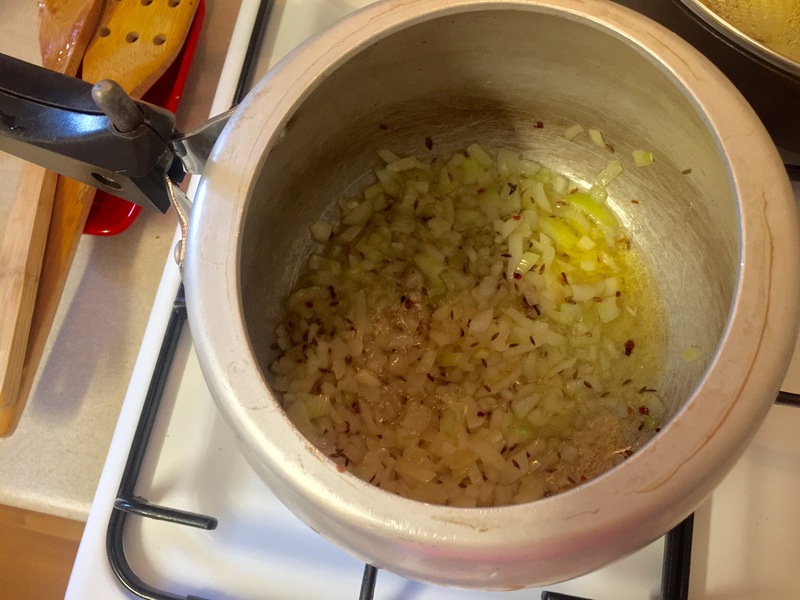 Add asafoetida (hing), cumin seeds, once aromatic add onions and cook until onions are lightly browned. 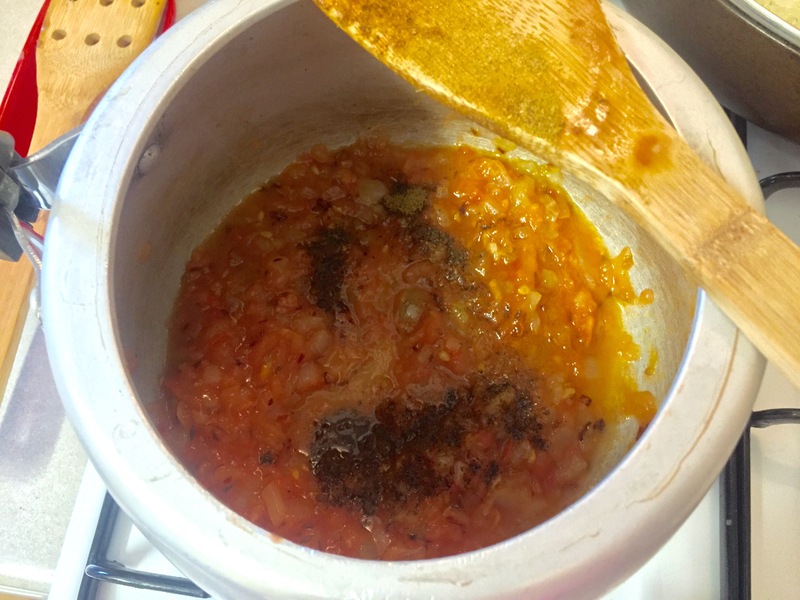 Now add grated tomatoes, key for this stew is use the freshest tomatoes. Add all the dried spices. Cook on a medium heat for 10 to fifteen minutes. Add the beans and the broth. Season with salt. Cover the saucepan and let the stew cook on a low heat for about an hour. 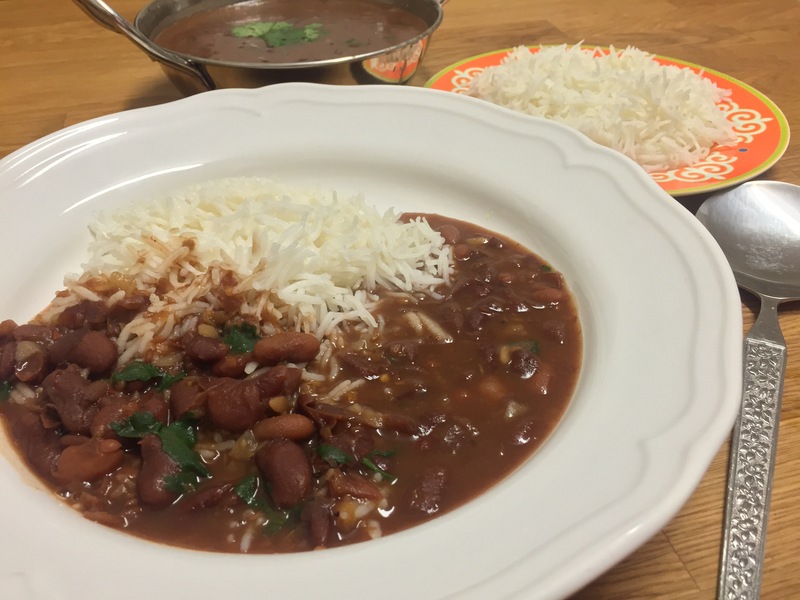 Your lipsmackingly delicious kidney bean stew or Rajma are ready. Garnish with fresh coriander. Serve over steamed basmati rice and enjoy this happy meal with your beautiful family.